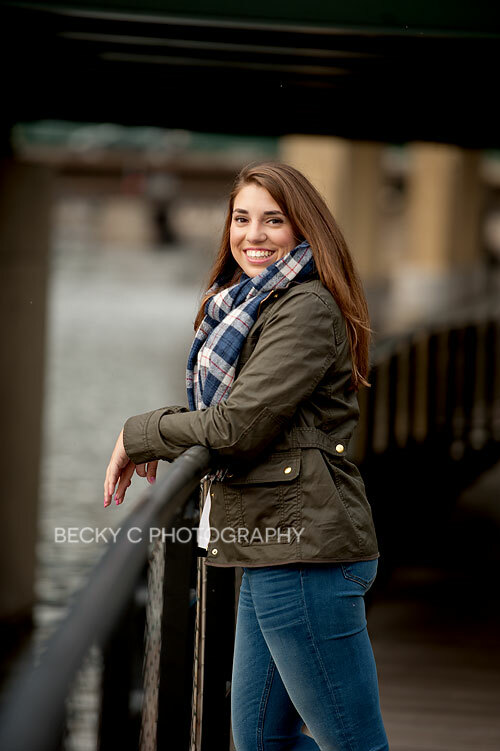 Becky grew up in the Milwaukee area and went to college at UW-Madison. After graduating in 1997, she moved back to Milwaukee to be close to family and start her career in marketing and advertising. She married her husband Steve in 2004, and they welcomed their first boy, Nicholas in 2006 and then his brother Evan in 2009. They certainly have a lively household with two sweet little boys and wouldn’t have it any other way! 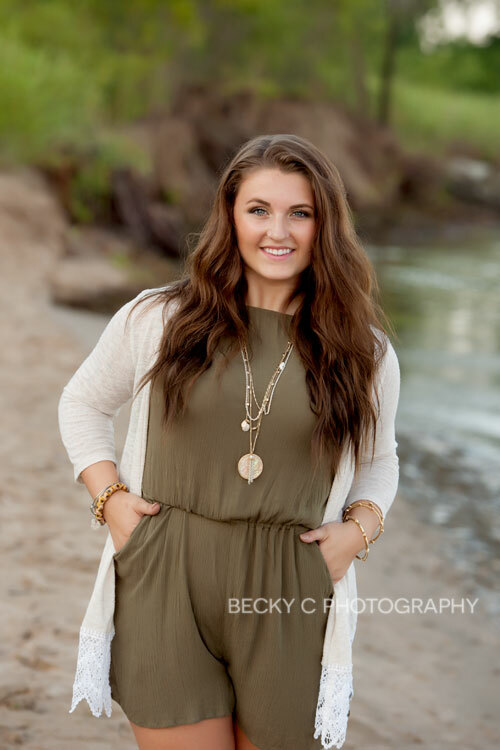 Becky's photography journey started long ago, and she is thrilled to be able to do something she loves for a living. There is nothing more important than having these memories as we all know how fast life seems to move! 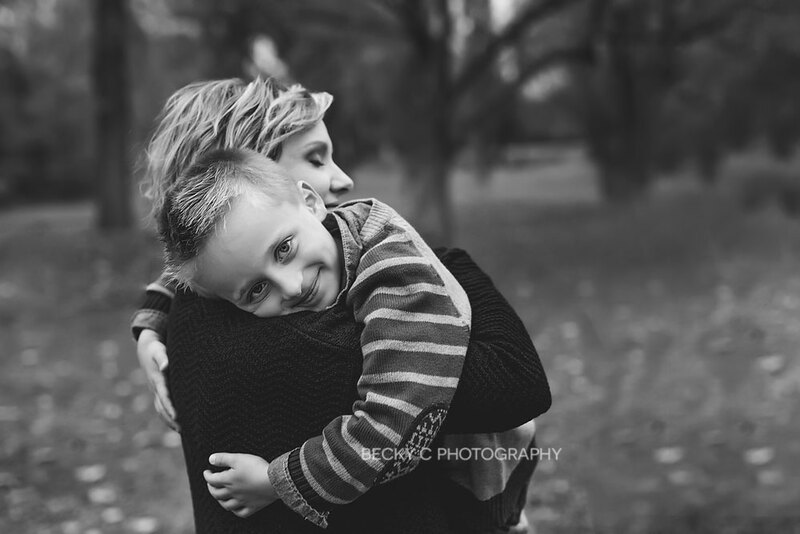 Photography is an ever-changing industry, and Becky loves the constant challenges it presents. She spends every day working to improve her skills and continuously educates herself so that she can provide the best and most unique images. 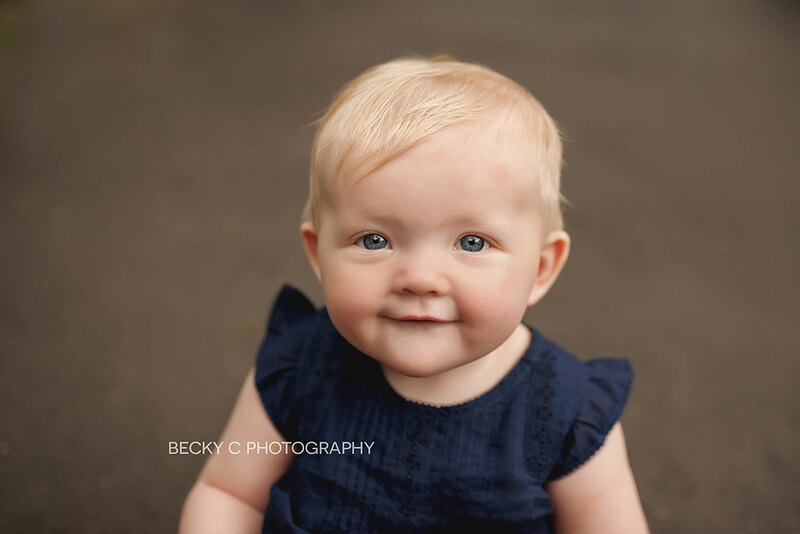 Becky is a member of the PPA (Professional Photographers of America) as well as several other photography organizations that provide education, support, and challenge her to improve and grow in her photography. 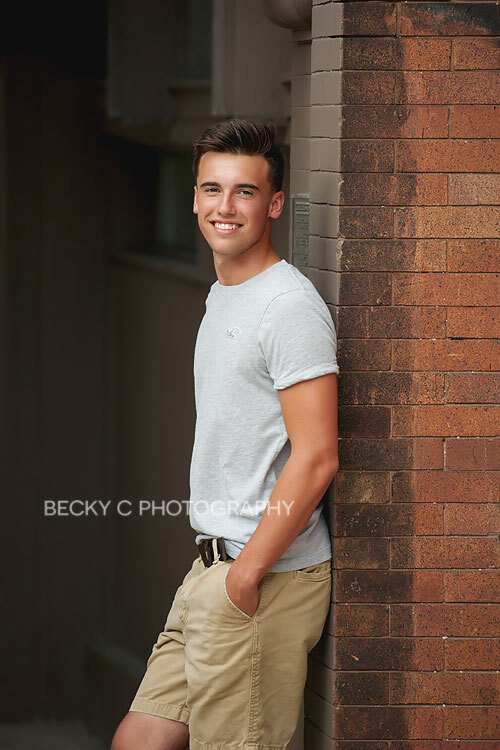 My favorite photo is a photograph of a young man from his senior session. (see below) Track is a huge part of his life, so we wanted to capture him in his element. Everything came together perfectly for this shot - the light, location, and his love of the sport. My dream project would be to spend a year in New York City and photograph the city and it's people. I have a huge love of the NYC, and would love to have the opportunity to do some street photography there. My favorite photographer of all time is Tara Whitney. Her sessions make you feel like you know the families just by looking through the photographs, and they just have a magical feel to them. I love her style and the lifestyle approach she takes. 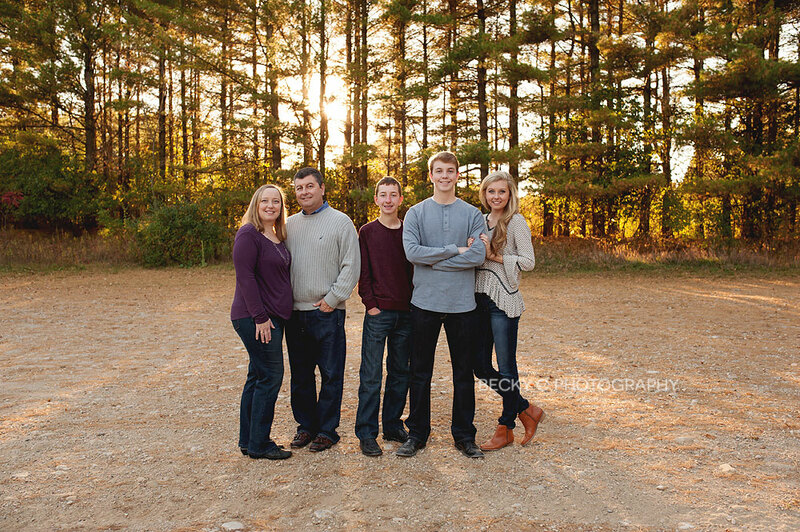 She makes families look so natural and comfortable - as if she wasn't even there and they were just going about their day without a photographer. It takes several years to figure everything out on the business end of things, so patience is necessary. I registered as an LLC before I took any clients, and also worked with an accountant right off the bat, however it took a long time to get my pricing to where it needed to be after understanding just how much it takes to run a business. Don't be afraid to make changes and adjust things as necessary as nobody gets it right the first time. My Sigma Art 35mm 1.4 lens. I have always shot with longer focal lengths, but this year I switched over to the 35mm for many family and child sessions. This focal length allows me to be more creative, and the color and clarity is gorgeous!! Customer Service. Without a doubt! I am always striving to provide top notch customer service. I always make sure to take the time to listen to their needs, wants, and provide them with support and help not only before and during the session, but after as well. Making your clients comfortable. Getting photographs taken is typically stressful for most people. It's hard to put together outfits, parents often worry about how their kids are going to behave, seniors are nervous about looking natural, and new parents are often overwhelmed with the demands of a newborn. By trying to make everyone feel comfortable and relaxed right off the bat, you set everyone up for a successful session that they will walk away feeling good about your time together. Knowing how to use light. You will not always have perfect lighting, so learning how to work with all different scenarios is a must. This past year I went to Grand Cayman Island to celebrate my 40th birthday and our 10 year anniversary. I think it would be a pretty perfect place to live!! (if I could take all of my family and friends, of course! ).